‘The Division Bell’ sleeve artwork was the first Pink Floyd image to be featured on a Royal Mail stamp, in an issue of ‘Classic Album Covers’. 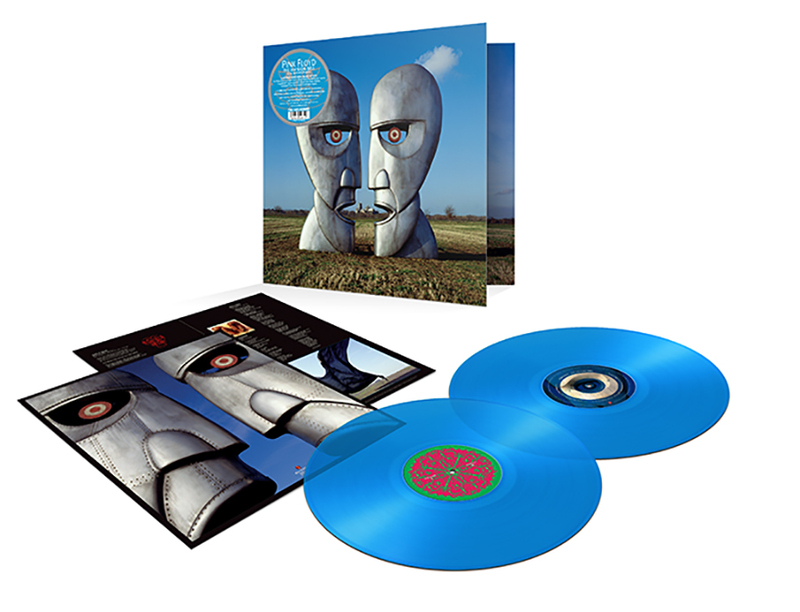 The iconic album artwork of the two huge metal heads in profile talking to each other (and in turn, creating a third forward-facing head) was provided by long-time Floyd collaborator Storm Thorgerson. Two three-metre tall metal head sculptures (by John Robertson), weighing 1500 kilogrammes, were placed in a field in Cambridgeshire and photographed across a two-week period in all weather conditions. The beautiful Ely Cathedral appears in the background visible through the sculptures’ mouths. These original sculptures are currently part of The Pink Floyd Exhibition: Their Mortal Remains, touring the world. The image has long divided fans as to the meaning with the only explanation coming from Thorgerson: “It was intended that the viewer should not see both at the same time. One saw the single face, or the two profiles which meant that they were then communicating with the image.” This relates directly to the album’s core themes of communication, talking through problems and making choices.